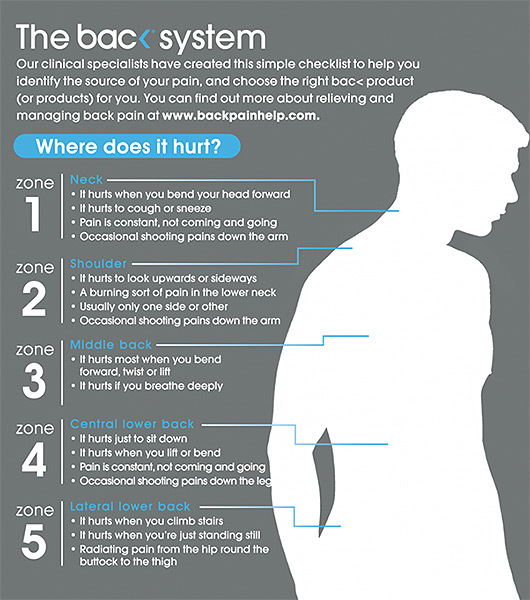 Back pain is an extremely common problem and is often caused by poor posture. If you spend most of the day sitting down at a desk or in a car, then it’s easy to end up slouching without thinking about it. With the average person spending around 13 hours a day sitting down it’s easy to see why we’re all so achy! Slouching for long periods causes your spine to compress and your back muscles to stretch and strain in unnatural ways, resulting in pain and stiffness. By correcting your posture, you can avoid this and feel much better in your body. A popular way to ensure correct posture is to use a chair lumbar support cushion. These help you to maintain the correct alignment in your chair, stopping you from slouching. There are many of these supports available on the market but a lot of them are extremely uncomfortable to sit on and can make your back pain even worse! This is because they come in one shape that won’t necessarily be the correct fit for the unique contours of your body. Bac< have had the fantastic idea to create an adjustable lumbar support that can be bent into exactly the right shape for you and the chair you are sitting on. All that you need to do is place the Backboard against your knee and gently bend it so that it fits the curve of your spine. It can then be attached to any seat using the included elasticated strap. The Backboard is versatile and lightweight so you can take it anywhere – use it at home, in the office, in the car or while travelling. You no longer need to feel discomfort anywhere as you can quickly tailor any seat you sit on to your own specifications! Designed and manufactured in the UK, the Backboard is recommended by the London Spine Clinic – one of the famous Harley Street’s most respected clinics!